Fred Roberts, former investment banker and Chairman of the National Association of Securities Dealers (NASD), has two passions—collecting wine and sharing his love for photography. These two interests are now unexpectedly and wonderfully entwined as Mr. Roberts prepares to sell his extensive wine collection to benefit the Foundation he started to empower high school students around the world to express themselves through photography. LOT 1185. CHÂTEAU HAUT BRION 1990. ESTIMATE $4,000–6,000. LOT 1197. CHÂTEAU LATOUR 1990. ESTIMATE $3,800–6,000. LOT 1222. CHÂTEAU MARGAUX 1990. ESTIMATE $2,200–3,200. LOT 1222. CHÂTEAU MOUTON ROTHSCHILD 2000. ESTIMATE $16,000–22,000. LOT 1268. CHÂTEAU LYNCH BAGES 1990. ESTIMATE $1,000–1,500. LOT 1278. CHÂTEAU LYNCH BAGES 1990. ESTIMATE $1,600–2,400. The award-winning Mr. Roberts, whose work has been shown internationally in galleries and museums, began focusing on photography upon retirement in 2000. In 2011, he decided to make the artistic medium more accessible to young people, and developed a unique format for photography workshops. With the assistance of world-class photographers and teachers, 20 participants learn professional techniques over the course of seven days. He has continued this work around the world ever since, conducting workshops in Udaipur, Kumbhalgarh, Bhutan, Nicaragua, Tajikistan, Hyderabad, Lisbon, Los Angeles and Toronto, among other places. Upcoming workshops will take place in Mombasa, Monterrey, Punjab and Pakistan. STUDENTS AND FACULTY OF A FRED ROBERTS WORKSHOP. At the conclusion of each workshop, Mr. Roberts donates four professional-level cameras, plus software so that participants can continue to develop their skills. He also works with local partners to train staff and secure photographers in each country who continue to mentor the students. A private website allows the participants to submit their work and further their education in photography. 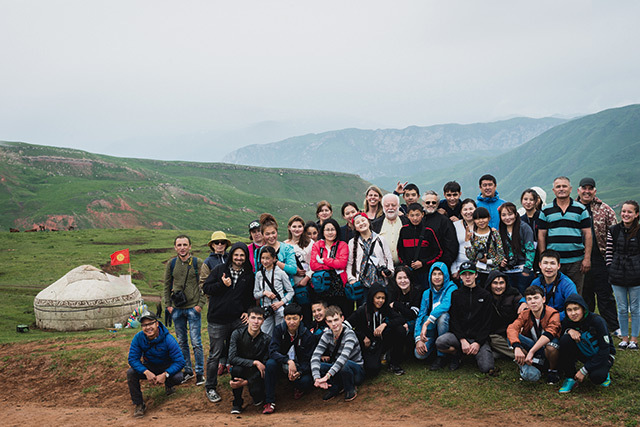 “Then, one or two years later, we come back to the same group and do an intensive advanced class, and many of those students become teaching assistants for the next round of beginner students,” he says. LOT 1320. JOSEPH PHELPS VINEYARDS, CABERNET SAUVIGNON, EISELE VINEYARD 1991. ESTIMATE $1,200–1,600. LOT 1324. 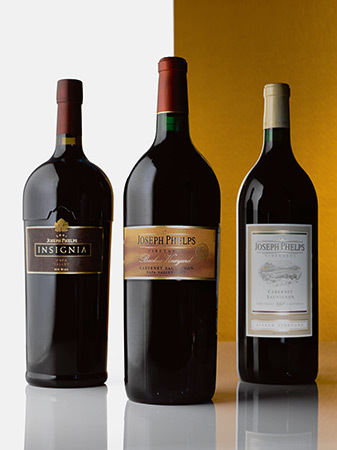 JOSEPH PHELPS VINEYARDS, CABERNET SAUVIGNON, INSIGNIA 2001. ESTIMATE $2,400–3,500. LOT 1318. JOSEPH PHELPS VINEYARDS, CABERNET SAUVIGNON, BACKUS VINEYARD. ESTIMATE $650–950. 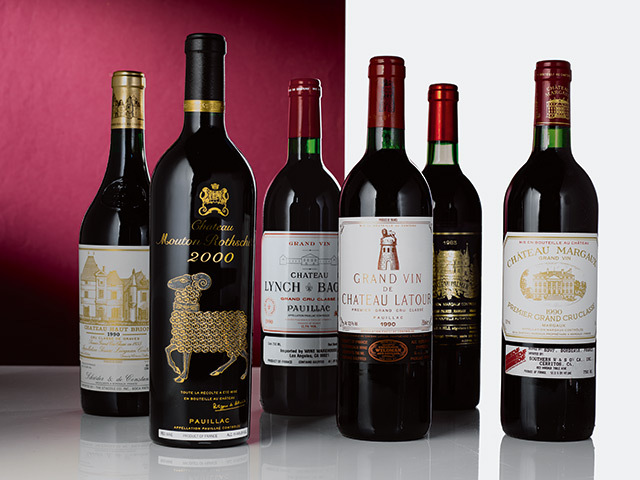 The wines in this auction were donated by Mr. Roberts to the Foundation. Mr. Roberts has been interested in wine since he moved to Los Angeles in 1971. An avid collector and member of several prominent local wine groups, Mr. Roberts serves as Cellar Master of the Los Angeles chaptire of the Commanderie de Bordeaux. He bought mostly Bordeaux en primeur in full-case quantities in the best vintages. All proceeds from the sale will benefit the Foundation’s mission to conduct workshops around the world for many years to come.